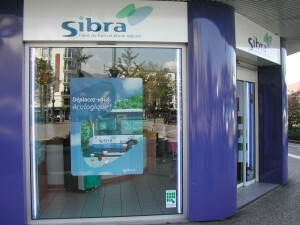 The informations you provide are exclusively for Sibra. You have a right to access, modify, rectify or delete this information (Article 34 of the law "Informatique et Libertés"). For more information about our lines, fares, timetables and lost property. Open from 7:30am to 7pm from Monday to Friday, 9am to 12am and 2pm to 5pm on Saturdays.